Trust, but verify - that old, somewhat oxymoronic saying came to mind yesterday as Parliament passed two laws to tighten the oversight of charities and cooperatives. The amended Charities Act arms the authorities with additional powers to suspend or remove unfit individuals from a charity, and to halt improper fund-raising appeals. The Co-operative Societies Act was revised in similar fashion. Officers from credit cooperatives can be suspended. The Government can also stipulate mandatory training courses, place a cap on dividends a co-op can pay out or even stop a co-op from receiving fresh funds. The word "trust" was used at least 16 times by Minister for Culture, Community and Youth Grace Fu during the debate on the charities Bill. The co-op Bill was also tabled by her ministry. "Reputation is key to the charity sector, and one bad apple can erode public trust and confidence in the whole sector," she argued. MPs who spoke generally agreed. Mr Louis Ng (Nee Soon GRC) said: "Trust hangs by a thread and once broken, is terribly difficult to restore." As Parliament continues today and considers whether to appoint a Select Committee to deliberate on "online falsehoods" - or fake news, parallels will likely be drawn with yesterday's debate on charities and co-ops. For just as fake news casts doubt on real news, charities and co-ops that abuse their status - or worse, are unregistered and have no status - could turn the public away from legitimate ones out of a fear that they can't tell between the good and the bad. Ms Denise Phua (Moulmein-Kallang GRC) alluded to this sinister effect with an example from her constituency, where a shopkeeper had placed a fake donation box beside a genuine Community Chest one. The shopkeeper probably hoped the authenticity of the latter will rub off on the former, earning him a quick buck. But it is as likely the phoniness of the former will taint the latter - to the detriment of a needy senior somewhere whom the ComChest could have helped. The changes to the charity scene come at a time when online appeals for donations - or crowdfunding - are increasingly common due to the popularity of social media. The co-op reforms may have been prompted in part by one of the biggest co-op fraud cases here: Two employees of the Singapore Statutory Boards Employees' Cooperative Thrift and Loan Society were convicted last year of stealing $5.1 million. In theory, well-run charities and co-ops should cheer the stricter regulatory framework as it promises to separate the wheat from the chaff. But realistically, the changes probably won't be music to the ears of every good charity and co-op because compliance costs and new inconveniences will arise from the laws when they take effect in the first half of this year. These concerns were voiced by some MPs yesterday, who warned against having too much of a good thing, even as they supported the broad direction of the Bills. 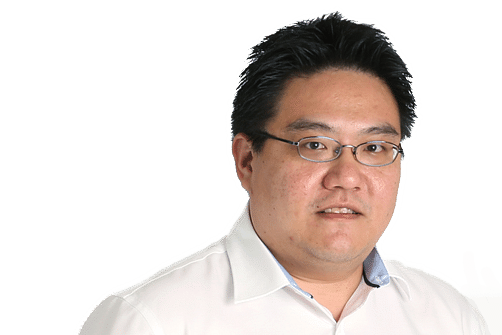 Mr Ng, who runs a charity, asked the Government to consider providing support to resource-strapped charities on matters such as financial management and internal control. Non-Constituency MP Dennis Tan asked if some may be discouraged from serving on charity boards, given the "onerous" potential liabilities board members may be opening themselves to. This could be a problem for smaller charities, he said. Ms Phua sought assurances that board members of charities who can demonstrate that they acted in good faith will be protected. She also asked the Government to study different segments of the charity scene to see if the costs of governance are appropriate. "Over-governance is costly and stifling," she said, before adding that under-governance is also problematic - it "puts the charity and its core mission at risk". The representations by the MPs were a reminder that what is needed here is a balanced approach, and not the pendulum swinging to the other extreme. Trust, but verify - of course. But consider too the inverse: Verify, but trust.